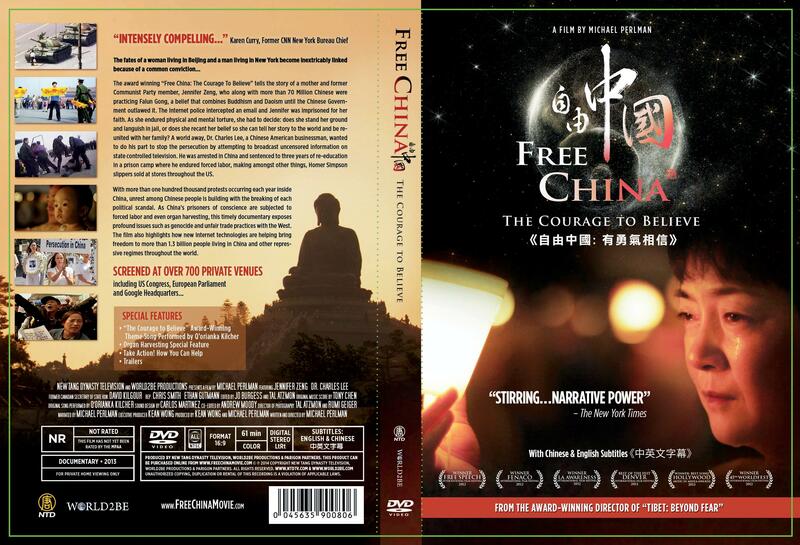 BUY THE “FREE CHINA” DVD NOW & SUPPORT A FREE CHINA! Special features include the Hollywood Music in Media Award-winning “The Courage to Believe” music video and a special 8 minute feature about Forced Organ Harvesting. * Orders from Taiwan/Non-English speaking countries: please provide your name/shipping address in English otherwise the local fulfillment house may have trouble sending the DVDs to you, thanks! COUNTRY/BULK DISCOUNTS: Please also contact kean.wong@ntdtv.com for bulk purchases and discounts which vary country to country.